Start-rite Score boys double velcro fastening school shoe. 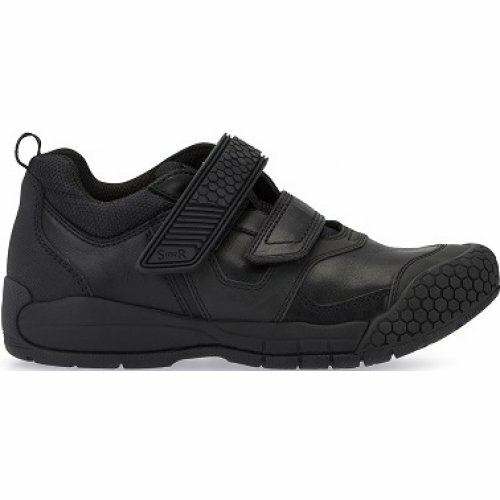 This sturdy and stylish shoe provides protection all over with extended heel and toe bumpers. The flexible, yet durable sole is ideal for those who are always on the go, whether its walking to and from school, or rough and tumble in the playground! Internal mesh linings also provide increased breathability.